Fantasy Costumes Chicago has it all. 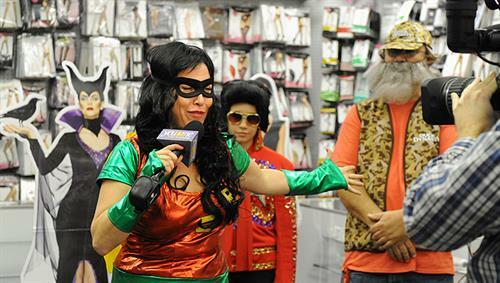 We are the biggest costume store, open year round, in the Chicago area. We pride ourselves on our selection of costumes, costume accessories, wigs, makeup, masks and our in-store costume, wig and makeup styling services. 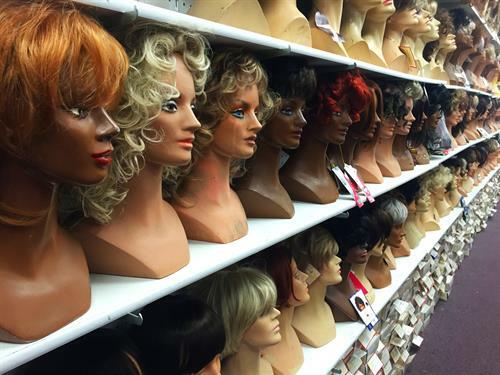 Our store houses a wig shop selling and styling costume wigs, beauty wigs and hairpieces for everyday use. We also have a costume rental department perfect for birthday parties and company events. Our selection of adult costumes and costumes for kids can't be beat. We also help many DIY cosplay costumers win at local comic conventions because of our costume wigs, wig styling and makeup. We have a full service wig and makeup boutique in our store for natural beauty and costume styling. We have what you need for every occasion. If you're shopping for the Thanksgiving season, our turkey mascots, Pilgrim outfits, Colonial and Native American costumes for children and adults are a great option. For Christmas costumes, we have classic Santa suits, elf costumes and snowmen. We even have ugly Christmas sweaters whether for Christmas parties or TBOX here in Chicago. We have over 300 styles of masquerade masks for sale. 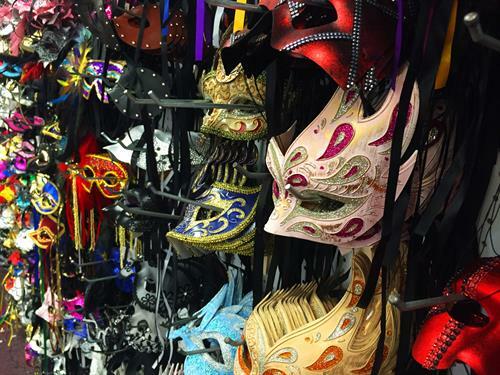 We have plenty of men's masquerade masks so you don't have to look like Zorro. Long nose Venetian masks and classic Renaissance masks with sticks are just a few styles of masquerade masks you can try on.